Yep, the old switcheroo. Let’s consider a few examples. 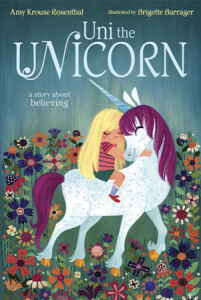 Lots of little girls believe unicorns are real, but how about a unicorn who believes little girls are real, as in Amy Krouse Rosenthal’s Uni the Unicorn? Plenty of boys bring home peculiar pets, but how about a bear who brings home a pet boy, á la Peter Brown’s Children Make Terrible Pets? 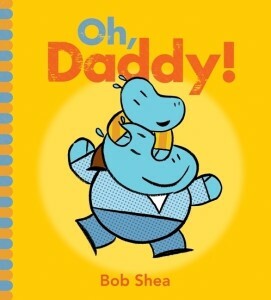 Most parents teach their kids how to dress and eat properly, but how about a child who teaches his dad these things, as in Bob Shea’s Oh, Daddy? Sometimes we don’t realize roles have been reversed until the “Ha!” ending, as in Julie Danneberg’s First Day Jitters (when the nervous, foot-dragging protagonist turns out to be a teacher, not a student) or Carol Diggory Shields’ Lucky Pennies and Hot Chocolate (when the playful, child-like narrator turns out to be the grandpa, not the grandson). But sometimes we’re in on the joke from the beginning, as with today’s featured book. 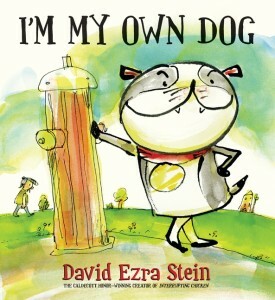 In David Ezra Stein’s I’m My Own Dog, we meet a self-sufficient pooch quite capable of meeting his own needs, thank you very much. He fetches his own slippers, tosses himself a stick, and scratches his own back—well, except for that one difficult patch he can’t quite reach. As with any pets, there are downsides. The guy is constantly “yapping,” for example. And the poor dog always has to clean up after him (the illustration shows him lapping up a puddle of ice cream from the man’s dripping cone). Yet despite the extra trouble, the pooch grows fond of his human, leading to a sweet ending. 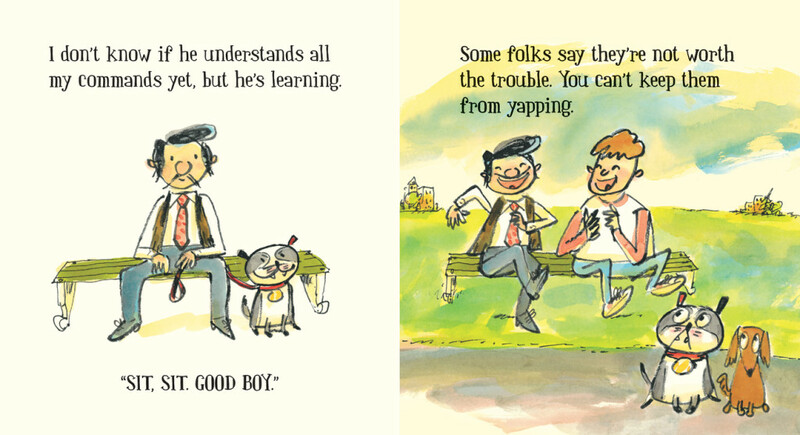 It’s not too hard to find books featuring human and canine friendship. 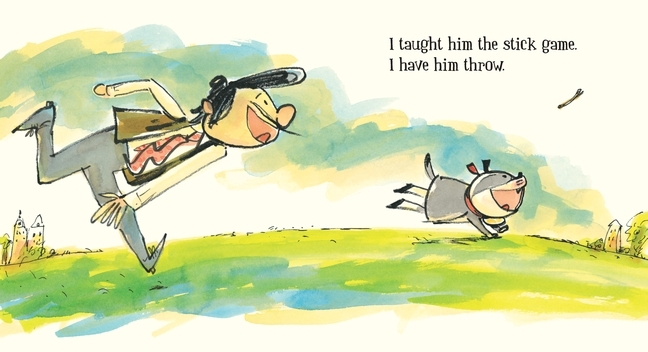 But reversing the role of pet and master gives the story a fresh twist and lots of humor. Got a favorite role reversal book of your own? And, while I have you, let me put in a quick plug for the excellent SCBWI-Carolinas Conference coming up September 25-27 in Charlotte, NC. There’s a fabulous line-up of faculty and programs (here’s the brochure). 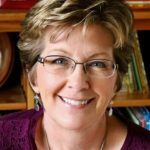 I’ll be leading the picture book intensive on Friday. Hope to see you there! Amy Krause Rosenthal, Bob Shea, Carol Diggory Shields, David Ezra Stein, I'm My Own Dog, Julie Danneberg, Linda Ashman, Peter Brown, role reversal. Bookmark. Great post. I’ve been wanting to write one of these for years! 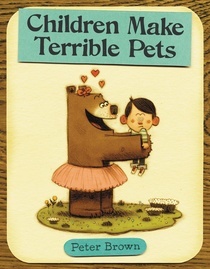 Children Make Terrible Pets is my FAVORITE role reversal book. Another example is Bedtime for Mommy. Thanks, Tammi. Haven’t seen that Bedtime for Mommy–I’ll have to check it out! Thanks, Anna. Good luck with the fiddling! Fantastic post! You’ve given me some great ideas! Terrific post! I’m revising one like this, and it’s much harder than expected! These are fantastic examples that I will definitely check out. Thank you! Thanks, Jennifer. Good luck with the revisions! Thank you, Linda! This post gives me permission to do what I have been thinking about doing. Great examples, too. Glad to hear that. Thanks, Anne! Loved I’m My Own Dog–so cute!! Yes, definitely tricky, especially when you save the surprise for the end. Worth thinking about, though . . . Thank you for pointing out role reversal! I’ll have to try this structure sometime. Hey, Tina! Yes, it’s worth trying for the fresh perspective alone (even if you wind up not using it!). Thanks, Katrina. Good luck with it! Thank you for this post. I have a role reversal story too and although my voice is my own, I discovered a book that is very similar, so wondering now whether I should even submit it. I’m looking forward to participating in your intensive at SCBWI-C. So exciting! Hey, Linda! So glad you’ll be in the intensive. I look forward to meeting you in person!